Vittorio (Vito) and Peter Imbesalacqua, father and son, opposites in so many ways, have never had an easy time with each other. From the moment Vito arrived in the United States from Italy in 1936 he did his best to live as a good man--hard-working, deeply-religious, frugal and honest. Peter, on the other hand, now forty years old, his real-estate business in shambles, has Vittorio (Vito) and Peter Imbesalacqua, father and son, opposites in so many ways, have never had an easy time with each other. From the moment Vito arrived in the United States from Italy in 1936 he did his best to live as a good man--hard-working, deeply-religious, frugal and honest. Peter, on the other hand, now forty years old, his real-estate business in shambles, has bent the rules and battled a gambling addiction for most of his adult life. With his family's help, he always just succeeded in averting disaster, until now. 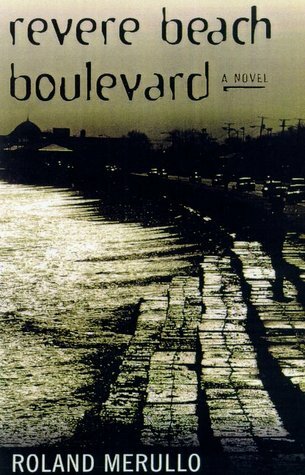 Revere Beach Boulevard--a novel both literary and suspenseful--tells the story of a family that rallies around an errant son, even as a dark secret that has blighted all their lives comes to the surface. For Peter it means having the courage to stand up to Eddie Crevine, a Mafia thug to whom he is in debt and who now threatens his life. For Peter's sister, Joanna, it means admitting that she shares some of her brother's anger at their parents. For Vito and his wife, Lucy, it involves dealing with the aftereffects of a youthful indiscretion, a moment of unchecked passion that changed all of their lives in ways that can never be undone. Revere Beach Boulevard is a rich and heartfelt novel that looks deeply into the secret places in men and women's hearts, places only great fiction can reveal.